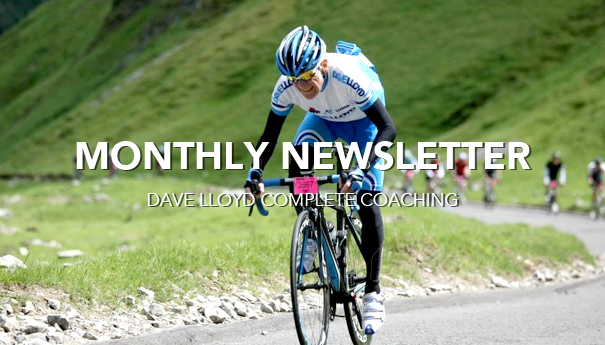 Welcome to my new Monthly Newsletter with all the latest news from yours truly with recommended products and useful training tips. There will be something for every bike rider here, don’t forget to share this to all your family and friends. Quality of the products have improved massively over the past 16 years. Impsport have moved with the times and now produce everything I need for the COMPLETE KIT MANUFACTURER. From their amazing new materials they use in their Pro “race fit” Short Sleeved Jerseys to their Rain tops and Gillets. The shorts have a super comfort fit and the inserts are very very comfortable – probably the most important piece of clothing you need when you do as many miles as me. When I first started riding a bike, and probably to this day, rain was a psychological thing .. If it was raining before you went out, it was a real struggle, but if it rained when you were out it was never as bad … But I had some very good advice the first time I ever complained about the rain to Eddie Soens , my coach, who came back with “ You don’t leak do you? .. Get out there and get it done !” So I did ! I have to admit I am not a fan of mudguards , in fact I loath them .. as they always rattle . If I have any extraneous noise on my bike , it drives me mad and I absolutely abhor mudguards .. If you do want to keep your bum dry, I’d use a clip on guard which fits on the seat tube and saves your backside getting wet . I really don’t think there are any sessions you can’t do in the wet that you can do in the dry , so , as Eddie says , get out there and do it … In the winter, however I have ways of keeping myself warm if not dry . The most important parts to keep warm are your head , hands , feet , knees and chest .. So, starting from the top down .. If it’s very cold I would wear a beanie to cover my ears and also cut up a Tesco plastic bag and put that inside my Crash Helmet to stop the wind getting to my head .. I would wear a snood to keep my neck and chin warm ..
To protect my chest, I personally use a bin liner with the arms and head holes cut in it and put the whole thing over me, so it not only protects my chest , but also my back and kidneys from cold and wet .. In VERY wet weather I would use a Rain Jacket , or just a Gilet if the rain is showery . I would never wear woollen gloves in the wet as , if they get wet , the wind chill will freeze your hands .. I personally use Salomon Ski Gloves which are Waterproof and you can also use them to rub your front and rear tyres free from flints or whatever, if you go over a road strewn with rubbish washed onto it by the rain ! I have always had “iffy” knees and I have to keep them warm in the winter .. To this end, I never wear Tights .. I use two pairs of shorts … (so if I DO fall, I burn one set Lycra away and save road rash) and I then use one pair of thermal leg warmers and then a set of water resistant Knee Warmers over them .. I even cut up a plastic bag and put that over my knees under the knee warmers when it’s very cold or wet .. Feet are going to get cold if it’s raining in the Winter .. Chris and I were the first guys to sell Neoprene Overshoes when we had our shop, if any of you remember our “Wet Weather Wellies”, so I would use thermal socks , use my shoes , but not fully tight as they have a bit of wriggle room and then a Tesco bag over the shoes and Neoprene Overshoes, or Waterproof Overshoes on top of the lot . With regards to changing your riding in the wet , I would obviously watch for slippy corners and wet leaves. I would watch for metal grids and the like and just brush off more speed on descent corners . BUT, I wouldn’t change tyre pressures , as on rough roads , you can easily get impact punctures. So I still put 7.5 to 8 BAR in in wet weather . I also use the best Tubulars in the Summer and the best Clinchers in the Winter and for me , after much experimenting , I think Continental GP 4000 2 Tubulars with Black Chilli compound and the same compound in my Clinchers with GP 4000 S’s .. These , for me are the “grippiest” tyres and Tubulars made and give me huge confidence on tricky descents and difficult corners .. If you use all these Clothing tips, you will stay warm and mostly dry in the worst the winter can throw at you , and with the best tyres or Tubulars you can have the confidence not to be too hesitant whilst training in the wet .. The only thing to stop you training in the Winter and going out are fog and Ice .. Then you can get on the Turbo … Unless you leak that is ? ?